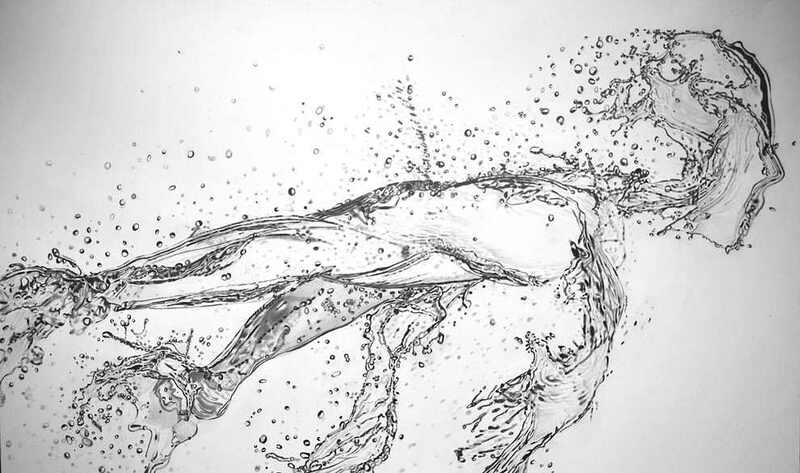 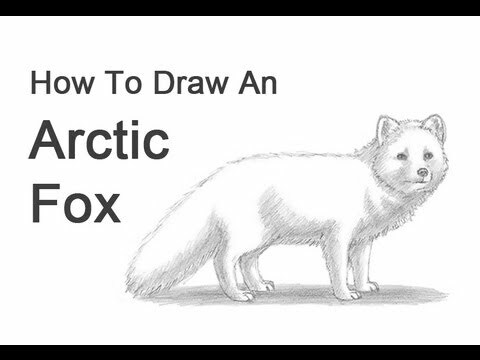 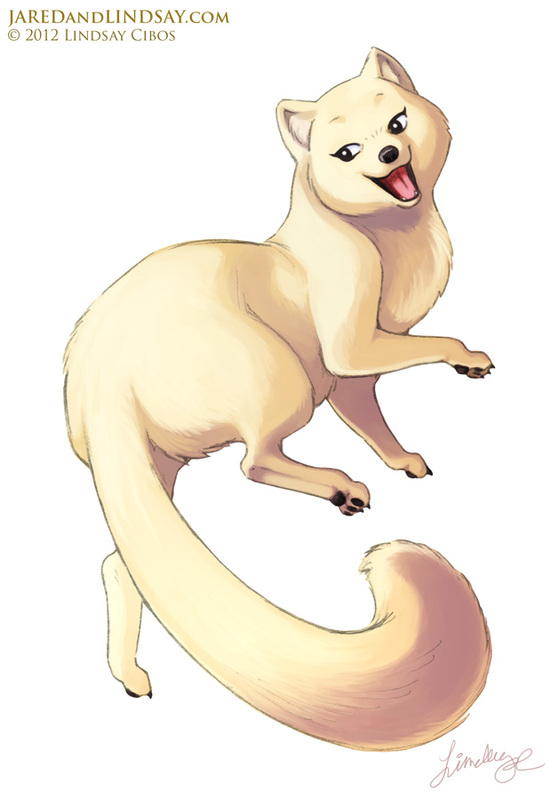 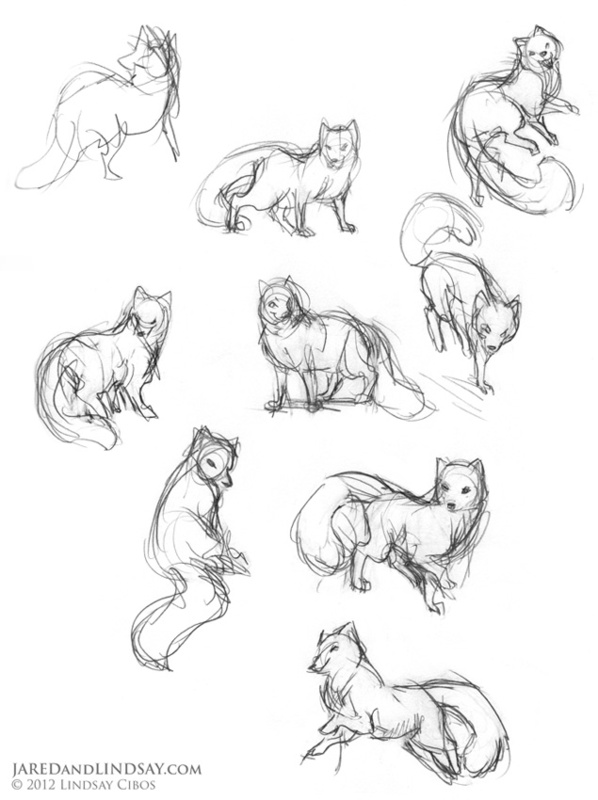 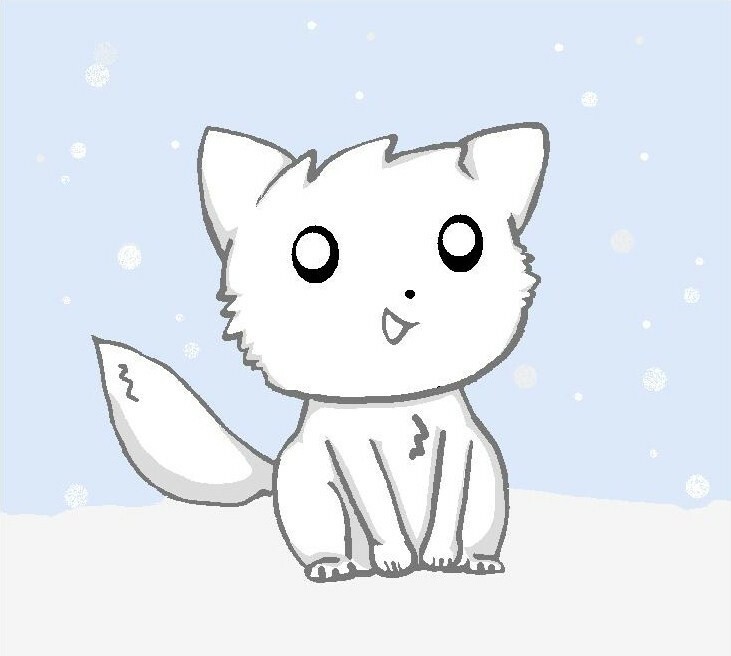 Please PAUSE the “How to Draw an Arctic Fox” video after each step to draw at your own pace. 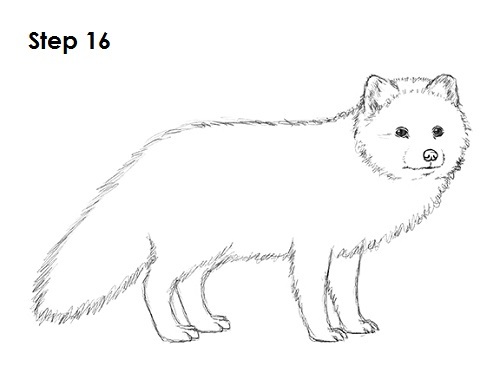 Step 4: Draw a small circle on the lower part of the head as a guide for the arctic fox’s muzzle. 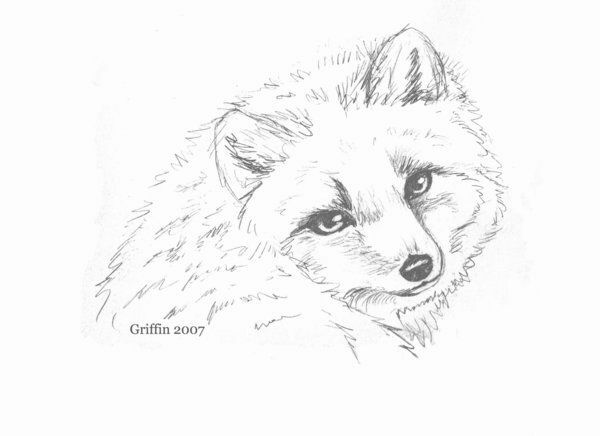 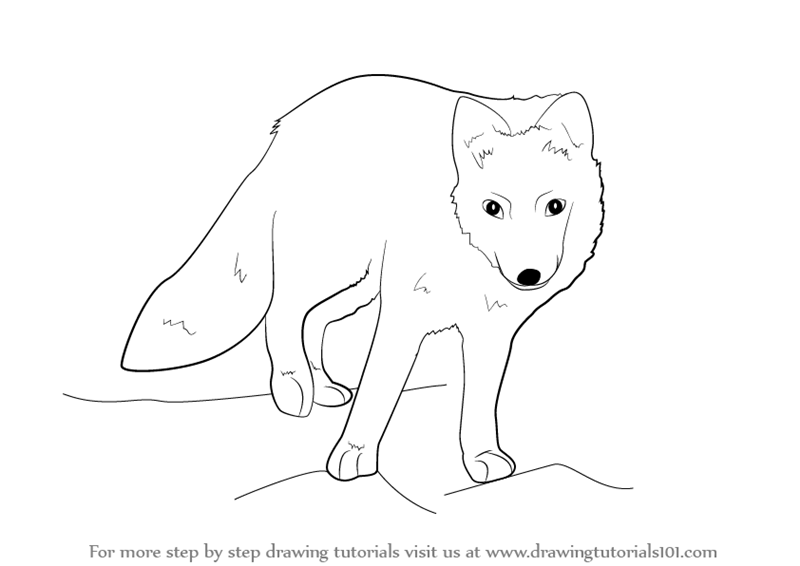 Step 2: Draw a smaller circle on the top right side as a guide for the arctic fox’s head. 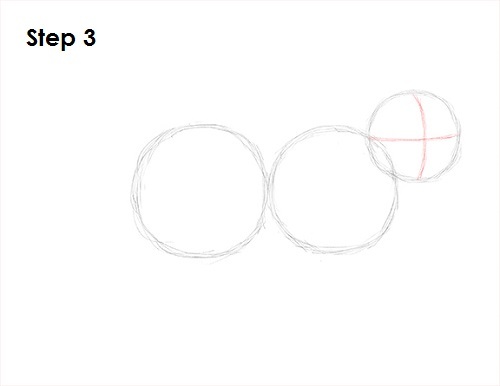 The edges of these two circles should overlap just a little bit. 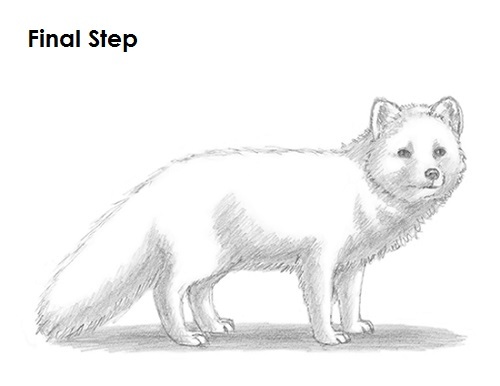 Step 1: Draw two circles as guides for the arctic fox’s body. 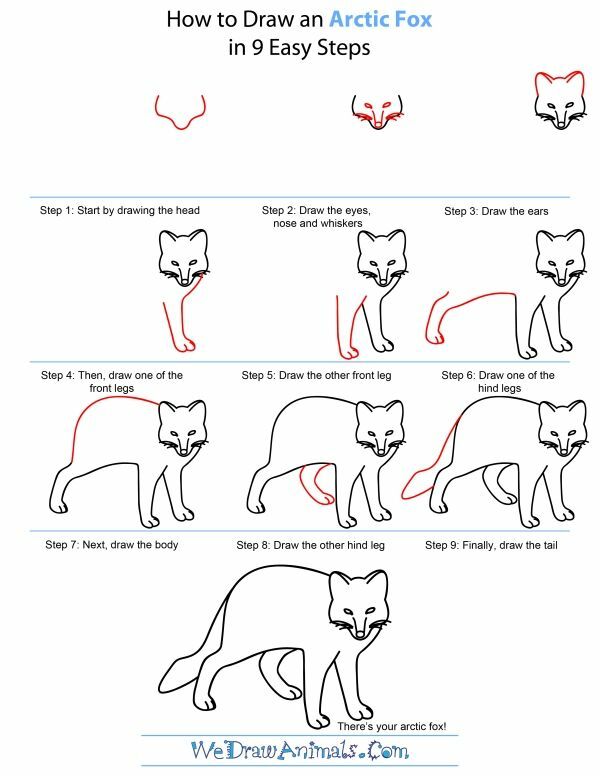 The circles don’t have to be perfect. 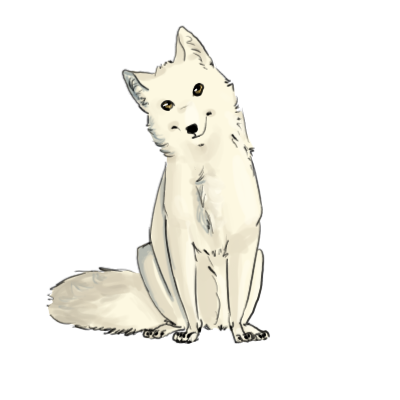 They’re just guides. 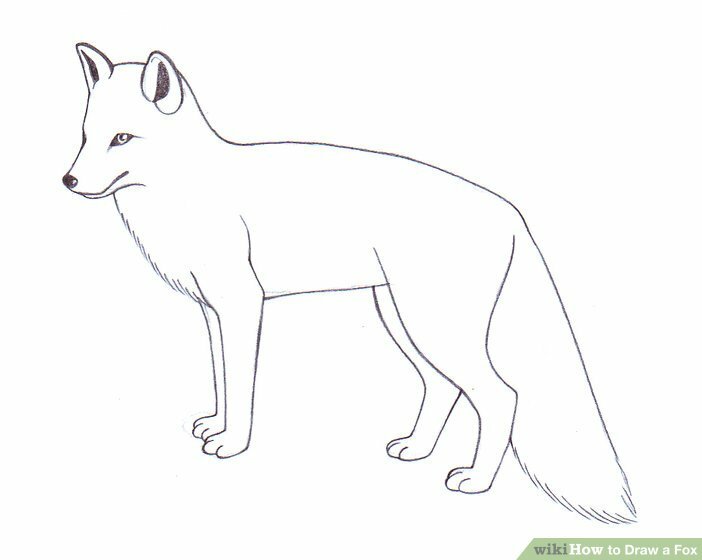 The circle on the left should be a bit bigger, and their edges should touch. 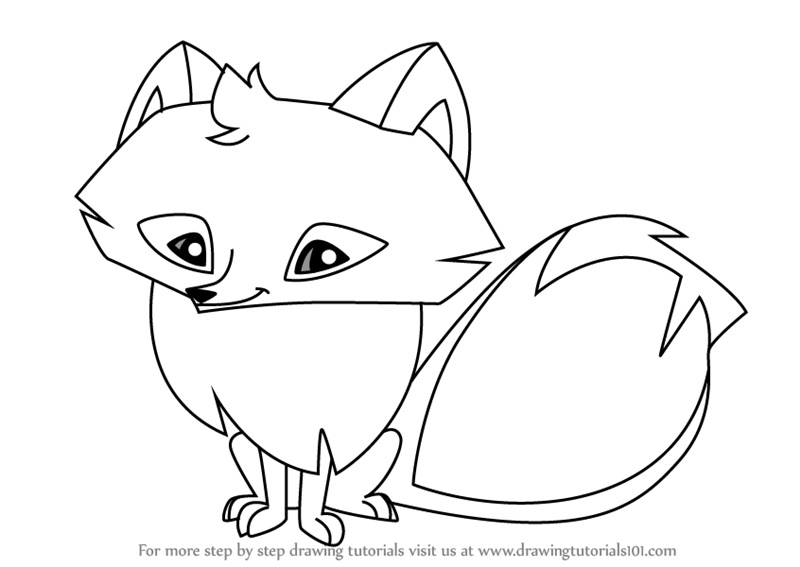 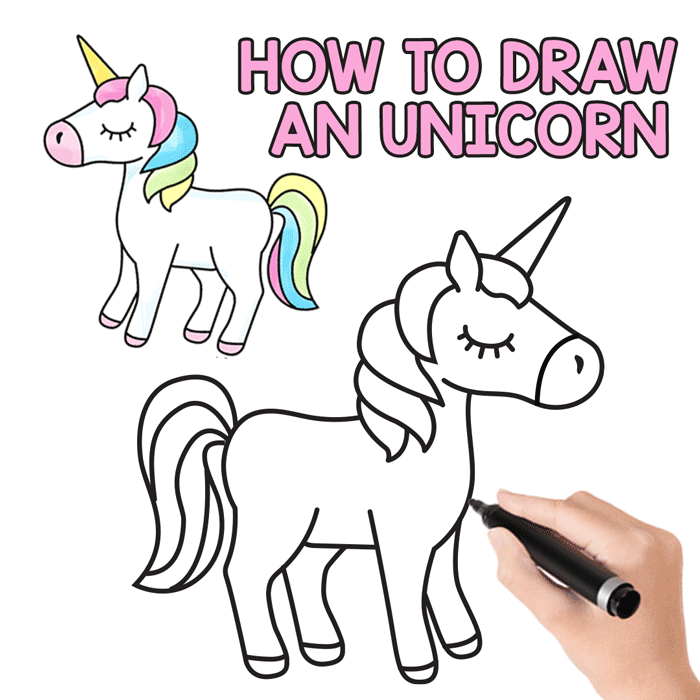 Step 3: Draw two intersecting lines inside the head to help you place the arctic fox’s facial features later on. 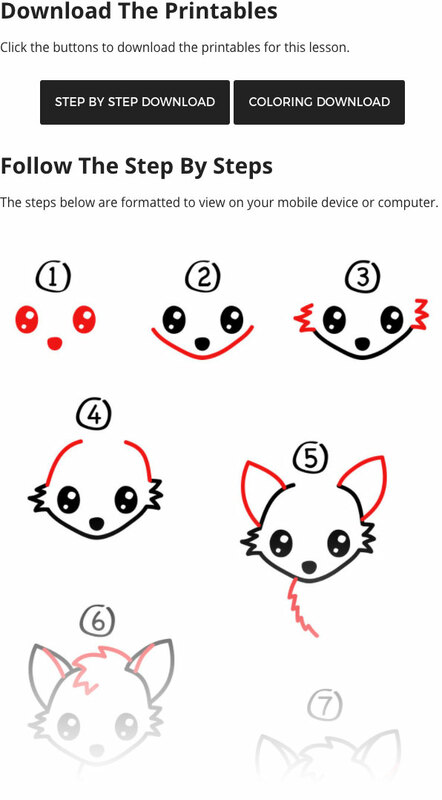 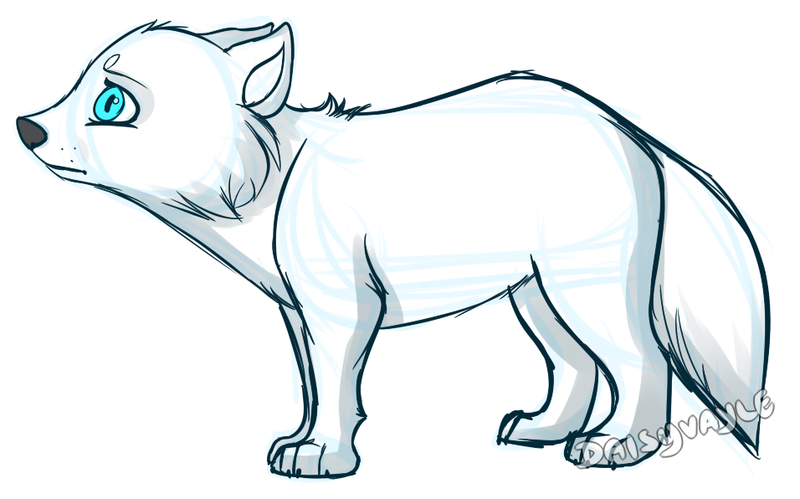 Step 5: Draw two arcs on top of the arctic fox’s head as guides for the ears.